The two new limited-edition Ready Eye Shadow Quads ($30) in The Rare Find and The Happy Place are part of the new Supernatural Collection from bareMinerals. I've been loving some of the eye shadows the brand has been putting out lately and these are no exception! The Rare Find is a gorgeous mix of gold, a shimmery olive green, a warm reddish brown and a matte highlight and The Happy Place is a nice neural quad with a shimmery golden pink thrown in for a pop of color. The quads are smooth, buttery and very pigmented even without a primer on. 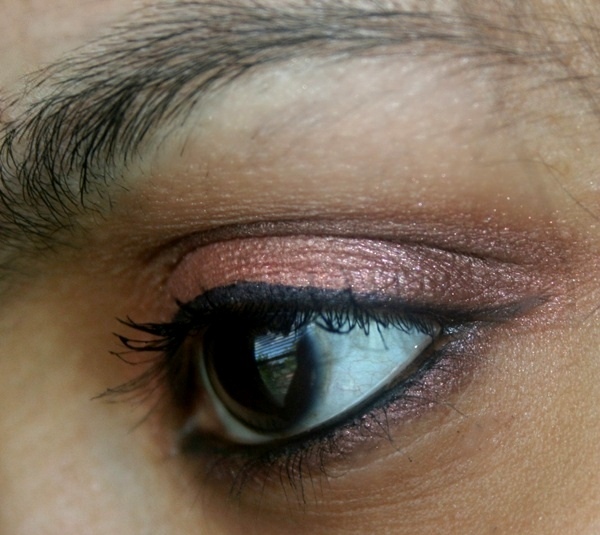 They also blend extremely well with little to no fall-out which is something I look for in every eye shadow. They last about 3 hours without a primer on and start creasing a little later on but, with a primer, they do not budge. The shimmery shades look very intense even along the lash lines and the shimmer is super finely milled so there's no chunky glitter. Overall, I'm very impressed with these quads and think they have an amazing, smooth and creamy formula. The colors are so well co-ordinated within each quad and the packaging that is super sturdy travels really well too. Love them and definitely recommend trying them! What are your thoughts on the bareMinerals Ready Eye Shadow Quads? So pretty are these!!! Loving that copper on you a lot! I'm going to be checking out these next since I like the Buxom ones! awesome palettes, i like the olive green and golden pink the most. that shade looks great on you. I love the pigmentation of the BE eye shadows. My mom's birthday was coming up and I was eyeing 'The Rare Find' for her gift. Do you think it would bring out hazel eyes?